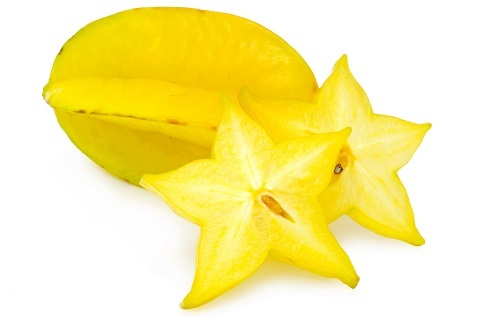 Star fruit also known as carambola is the fruit of Averrhoa carambola a species of tree. It is native in Indonesia, the Philippines, and Malaysia. 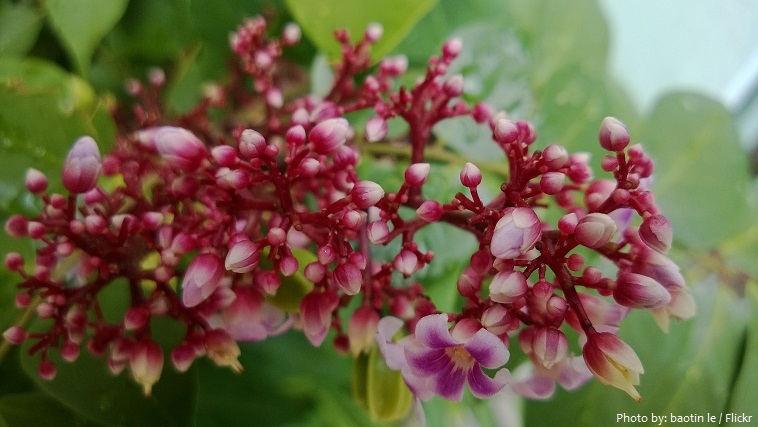 Today, it is also grown in Taiwan, Thailand, Israel, the United States (Florida), Brazil, China, Australia, and the warmer parts of India and other areas of the world with tropical and semitropical climate. Star fruit trees are evergreen, although when grown in cooler locales they can lose some or all of their leaves during winter. 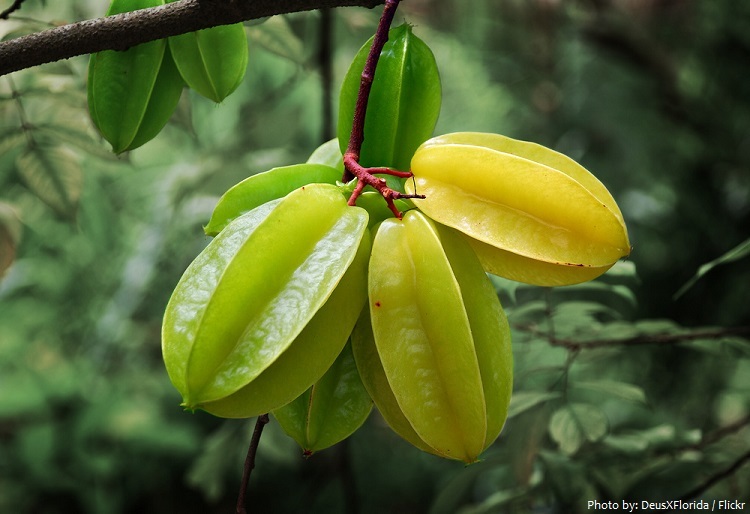 The star fruit tree is slow-growing, short-trunked with a much-branched, bushy, broad, rounded crown and reaches 6-9 meters (20 to 30 feet) in height. 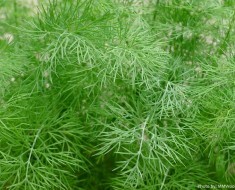 The pinnate leaves have a single leaflet and 5 to 11 nearly opposite leaflets, each leaf is 15 to 20 cm (6 to 10 in) long, and the 3.8 to 9 cm long leaflets are ovate or ovate-oblong in shape. Small clusters of red-stalked, lilac, purple-streaked, downy flowers, about 6 mm (0.25 in) wide, are borne on the twigs in the axils of the leaves. The star fruit tree flowers throughout the year, with main fruiting seasons from April to June and October to December in Malaysia. 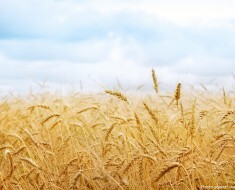 The fruit is about 5 to 15 centimetres (2 to 6 inches) in length and is an oval shape. It usually has five prominent longitudinal ridges, but in rare instances it can have as few as four or as many as eight. 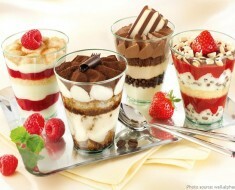 In cross section, it resembles a star. 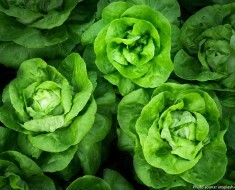 The skin is thin, smooth, and waxy and turns a light to dark yellow when ripe. The flesh is translucent and light yellow to yellow in color. The entire fruit is edible, including the slightly waxy skin. The flesh is crunchy, firm, and extremely juicy. Star fruit range in taste from pleasantly tart and sour to slightly sweet with a complicated flavor combination that includes plums, pineapples, and lemons. 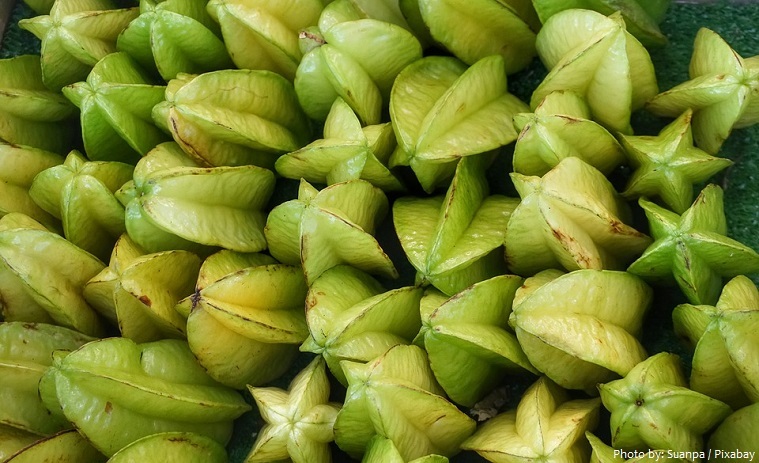 This fruits are best consumed shortly after they ripen, when they are yellow with a light shade of green or just after all traces of green have disappeared. 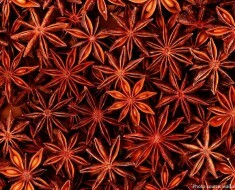 There are only 31 calories in 100 grams (3.5 ounces) of star fruits. Star fruit is very good source of dietary fiber, vitamin C and copper and a good source of B-complex vitamins and potassium. 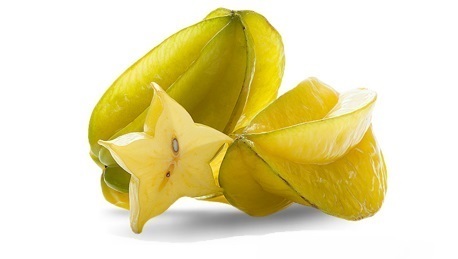 The health benefits of star fruits include anti-inflammatory properties, better heart health, improve respiratory health, regulates blood pressure, improve blood sugar control, helps reduce cholesterol levels, improve metabolism and promotes weight loss. 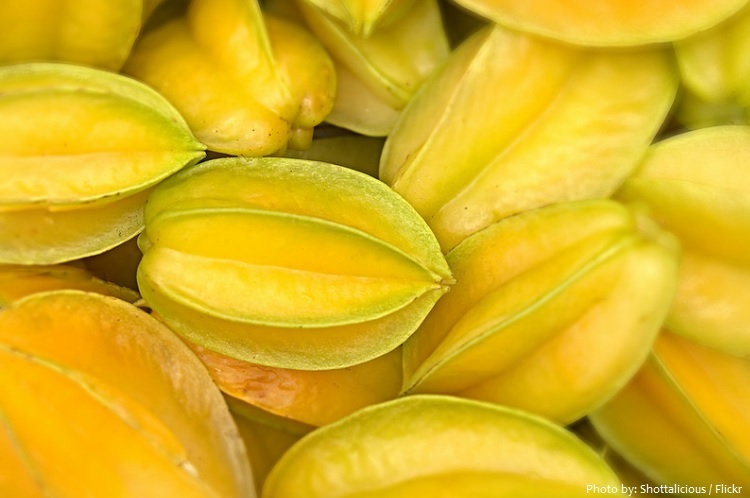 Ripe star fruit may also be used in cooking. 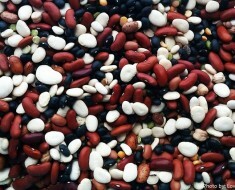 In Southeast Asia, they are usually stewed in cloves and sugar, sometimes with apples. In China, they are cooked with fish. In Australia, they may be cooked as a vegetable, pickled, or made into jams. In Jamaica they are sometimes dried. Like the grapefruit, star fruit or its juice in combination with certain prescription medications can significantly increase their effective dosage within the body. The Portuguese word carambola, first known use 1598, was taken from Marathi karambal derived from Sanskrit karmaphala.